This "Historically Speaking" column appeared in the Exeter News-Letter on Friday, March 30, 2012. In 1889, Herbert Dunn and Frank Swallow began to develop the land lying on the western side of the railroad tracks. New streets were laid out and lots were sold to potential homebuilders before any thought was given about what to name the new streets. The first street was named “Washington Street,” which seemed fitting. Who could argue with naming a street for George Washington, the father of our country? The other presidential streets in town, Lincoln Street and Garfield Street, were both named for presidents who had been slain while in office. As the Dunn and Swallow streets built up, more names were needed. One short stump of a street was sympathetically named “Hobart Street” in honor of Vice President Garret Hobart and the reason so quickly fell into obscurity that people have been asking about it ever since. If anything could be said of Hobart it is that he was a local politician. Born, bred and educated in New Jersey, he was comfortable remaining there his whole life. Trained as a corporate lawyer, he became involved in state politics in his late 20s – serving as speaker of the New Jersey Legislature before he turned 30. He was frequently urged to run for governor but always declined. As a member of various corporate boards, he was hesitant to have all of his time eaten away with politics. Like Robert Todd Lincoln, he made most of his income through railroad investments. By all accounts he was an amiable man – a likeable personality able to get things done through reasoned thinking. At the Republican Party convention in 1896, William McKinley, of Ohio, secured enough delegates to win the nomination. Usually, when a western candidate was brought forward for president, the vice presidential nomination went to someone from the east – usually from New York. But the New Yorkers were still nursing a slow burn after their favorite son, Levi Morton, had lost the nomination. The best solution was to find a solid candidate from the east who wasn’t from New York. Even though few people had heard of Hobart, he was the man chosen for the job. Following McKinley’s election, Hobart and his wife, Jeannie, moved into a home across the street from the White House. Unlike most vice presidents, Hobart took an active role advising the president. Jeannie became close to McKinley’s often ailing wife, Ida, who suffered from epilepsy and was often unable to serve as White House hostess. Jeannie Hobart, her trusted friend, often filled in for her. For two years, Hobart served capably as vice president. He took his job overseeing the Senate quite seriously – pushing forward legislation that seemed to be dragging its feet. The Spanish American War was fought during his tenure and Hobart helped propel the country into the war. In late 1898, he became ill with myocarditis, an inflammation of the heart muscle. Depending on its cause, the condition could sometimes clear up on its own. Doctors were hopeful that Hobart would rally and placed him on complete rest for months at a time. He removed himself from the political fray and returned to New Jersey to rest and feed his pet fish (the gold one nicknamed “McKinley” and the silver one “Bryan” to reflect the opposing views on the gold versus silver standard). He seemed to be recovering when he became ill with the flu in the fall of 1899. By October, President McKinley was informed that Hobart would not recover. He died on November 21st to the surprise of most Americans. It’s always interesting to ponder the ‘what ifs’ of history. 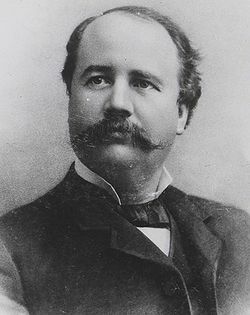 Garret Hobart, had he remained healthy, would have been reelected with McKinley in 1900 and it would have been Hobart who subsequently became president in 1901 when McKinley was assassinated instead of ‘that damned cowboy,’ Theodore Roosevelt. 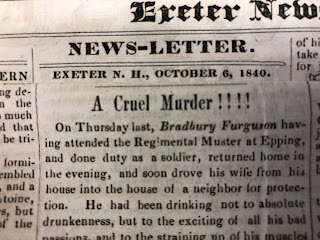 Instead, Hobart fell off the edge of history; his street in Exeter as short as his tenure on the national political scene. 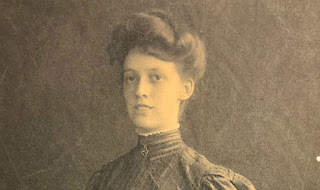 Jennie Hobart was crushed by the death of her husband, but her experience helped her to later comfort her friend Ida McKinley when she also lost her spouse. The two women remained friends, bonded together through grief. For their part, Herbert Dunn and Frank Swallow named another of their streets for William McKinley. The two streets meet at an intersection rarely used by most people in town. A reminder of the tragic political scene of the turn of the last century.